Two More Nearing AIDS 'Cure' After Bone Marrow Transplants, Doctors Say : Shots - Health News The two patients in Boston seem to be free of HIV after treatment for cancer, Harvard researchers say. But they're still on antiviral drugs, unlike the so-called Berlin patient, who's the only person in the world to be fully cured. Timothy Ray Brown, shown in May 2011 with his dog Jack in San Francisco, is the only man ever known to have been fully cured from AIDS. Brown is known as the "Berlin patient" because he had a bone marrow transplant in a German hospital five years ago. The so-called Berlin patient is famously the only person in the world who has been cured of HIV. But he may soon have company. Two people in Boston also seem to be free of HIV after undergoing bone marrow transplants for cancer, just as the Berlin patient did five years ago. The crucial difference is that the Boston patients have not yet stopped taking anti-HIV drugs — although that may happen in the coming months. Harvard researchers got an enthusiastic response from an overflow crowd when they presented the first report on the patients at the 19th International AIDS Conference in Washington, D.C.
"As far as we've been able to measure, we can't find evidence of HIV infection in the patients' blood or blood plasma, and their antibody levels against HIV are dropping," Dr. Daniel Kuritzkes of Brigham and Women's Hospital told Shots. "The antibody evidence tells us there is little if any persisting HIV protein to trigger an anti-HIV response." Kuritzkes is careful not to claim cure of HIV, although he says it's "entirely possible" that the two patients are cured. "We can't say we've replicated the Berlin patient's cure at this point because our patients remain on antiretroviral therapy," Kuritzkes says. Only if they stop therapy for months and years, without seeing a rebound of HIV in their blood, can these new bone marrow transplant patients be declared cured. 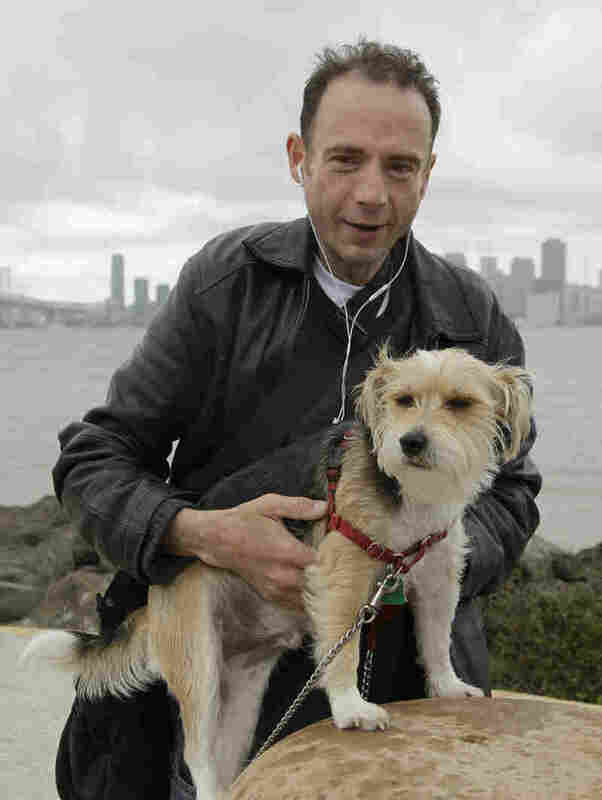 Meanwhile the Boston patients are shedding light on just what may have cured Timothy Ray Brown, the Berlin patient. He's an American HIV patient from Seattle who had two bone marrow transplants for leukemia while he was living in Berlin more than five years ago. It's been widely assumed that the magic in Brown's cure resides in the stem cells he got from a bone marrow donor. Those donor cells lack a receptor called CCR5 that HIV uses to enter immune cells. Not necessarily, the Boston researchers say. The donor cells their patients got did not lack the receptor. So what's happening with them must be different from the Berlin patient. The patients got a milder form of pre-transplant chemotherapy. As a result, they were able to stay on their anti-HIV drugs. That protected the transplanted donor cells from becoming infected with any HIV that might have been hiding out in their bodies. The donor cells most likely killed off the patients' own HIV-infected immune cells as the bone marrow transplants took effect. This second phenomenon is called graft-versus-host disease. The donor cells see the patients' native cells as foreigners and attack them. "The success of a bone marrow transplant depends on having the right amount of graft-versus-host disease," Kuritzkes says. "You need a little bit. You hope not to have so much that you get clinically sick from it." The Berlin patient also had episodes of graft-versus-host disease. That could help explain why his HIV infection was extinguished — or driven to such low levels that his new immune system is able to control it. It's possible that the lack of CCR5 receptors on the donor cells did contribute to the Berlin patient's cure. But scientists are excited by the possibility that a cure may not require donor cells lacking CCR5 receptors. That would widen the donor pool, since very few people are lucky enough to lack CCR5. Another small step on the road to a cure comes in a report by David Margolis of the University of North Carolina published this week in Nature. He writes that a cancer drug called vorinostat can smoke HIV out of its hidden reservoirs. Researchers are wondering whether they could combine this with a way of killing the virus before it can start a new cycle of infection — a strategy called "shock and kill." Dr. Steven Deeks of the University of California San Francisco warns not to expect that the road to a cure will be a quick dash. "I would be shocked," he said at a press conference, if scientists designed a workable cure within the next decade. "But it's at least possible, and we all think it's worth pursuing."